Since I was hosting a canned food drive at my local Farmer's Market/Art Walk, I decided to also have an art activity for kids. 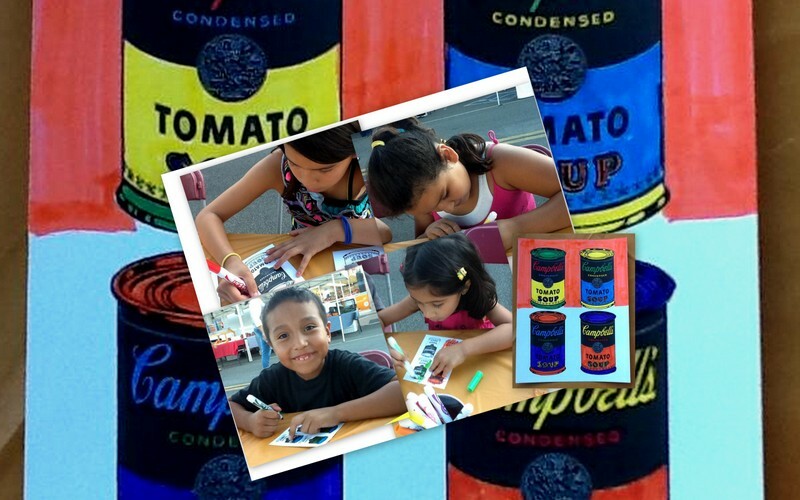 Andy Warhol inspired me, and I realized he was the perfect artist for this month's Kids Get Arty activity creating soup can color sheets so that kids could create their own Andy Warhol-inspired soup can pop art. 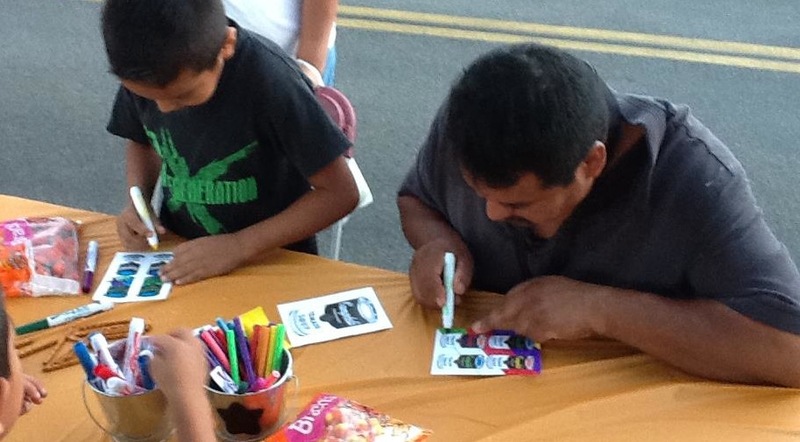 One of my favorite moments from the event was this dad who joined his sons in coloring and got really into creating the perfect Pop Art masterpiece. 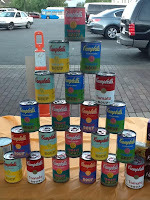 The Soup Can Pop Art color activity is a simple way to introduce young kids to Andy Warhol, plus here's some other Andy Warhol activities that a very talented artist and after-school instructor friend of mine does with her students (primarily 2nd graders). I love how she uses these activities to introduce students not only to Andy Warhol, but also to explore advertising and to learn about other famous individuals, such as Beethoven. For her advertising lesson, she provides students with paper, a black artist’s pen and crayons and talks with her students about how advertisers use various images to make their products more attractive. She then shares with them Andy Warhol's efforts to comment on advertising with his Soup Can art display and shows them photos of his work. 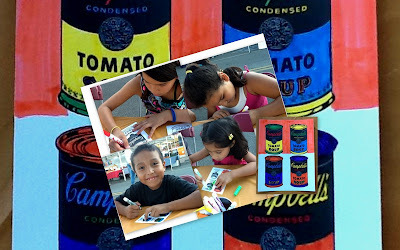 Then, the students draw and color their own soup cans. Another lesson she does is discuss the way that Andy Warhol used bright colors to re-create famous people and showed them samples of his art work. Then, she provided students with a Black and White photocopy of Beethoven for them to accent with their own vibrant colors. Finally, she also uses Andy Warhol to encourage students to create their own Pop Art Self-Portraits, which I absolutely love. 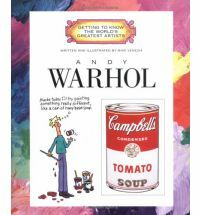 I really hope all of these Andy Warhol ideas get you inspired and here's a great book for kids about Warhol too. Enjoy discovering and exploring Pop Art! 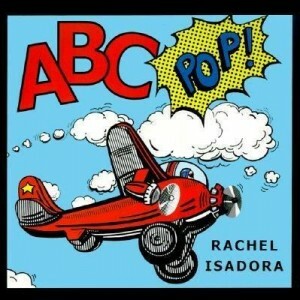 Another great Pop Art book I recently discovered through No Time for Flashcards with her great post of 21 Picture Books on Art. Love this idea! The artwork is amazing!!! Brilliant. I love Andy Warhol - and he is such a great artists to get children interested and having a go (and most definitely on our Kids Get Arty to do list). Looks like you guys had a great time exploring and having a go. Fabulous. Wonderful artwork! I loves the vibrant colors. I also appreciate the reminder to donate canned goods. Thank you for linking up to The Sunday Showcase. That is a great idea. It is neat that the Dad got involved too. It is great to link an art activity to canned food donation. What a fun way to learn about this. That is a great idea. I love the "paintings". 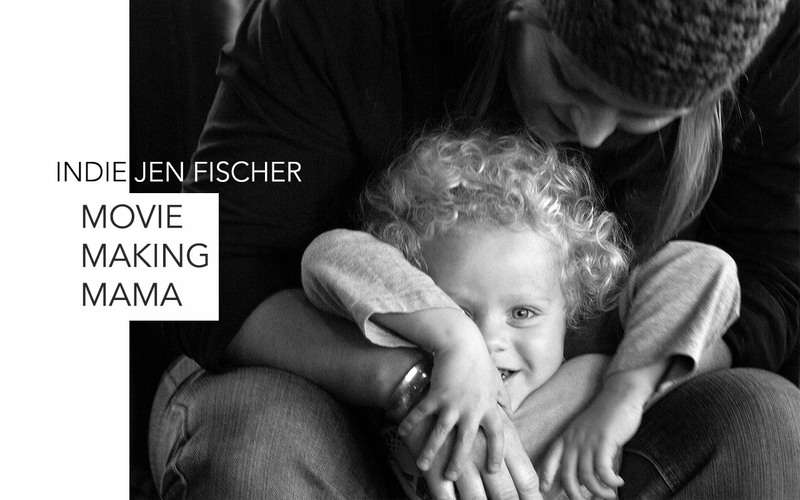 Thanks for linking up to tip-toe thru tuesday. Love the combination of service and art study! Thanks for linking this post to Discover and Explore. I hope you'll be back to share for our Zoos and Wild Animals theme this week.